Designed an online admin system for automating invitation and tracking of promotional events for Summit Entertainment, Paramount Pictures, DreamWorks, Warner Brothers, Showtime, and several other Hollywood CA based movie studios. Technologies used include C#, ASP.NET, ASP, HTML, SQL, and digital audio composing and recording. Business results: The original process of inviting movie fans to get free tickets supplied by the studios was done with street posters, handouts, and phone calls. It could take days to weeks to find takers for the free tickets. The resulting web based ticketing system allows us to invite fans and fill multiple concurrent theaters in a matter of days or hours. This is a screen shot of the Evites Admin system showing how an Evite event is created and edited. The various settings for text, images, color, and activation status are stored/read in a SQL database. The pane on the left gives the user a preview of what the Evite looks like as they edit it. 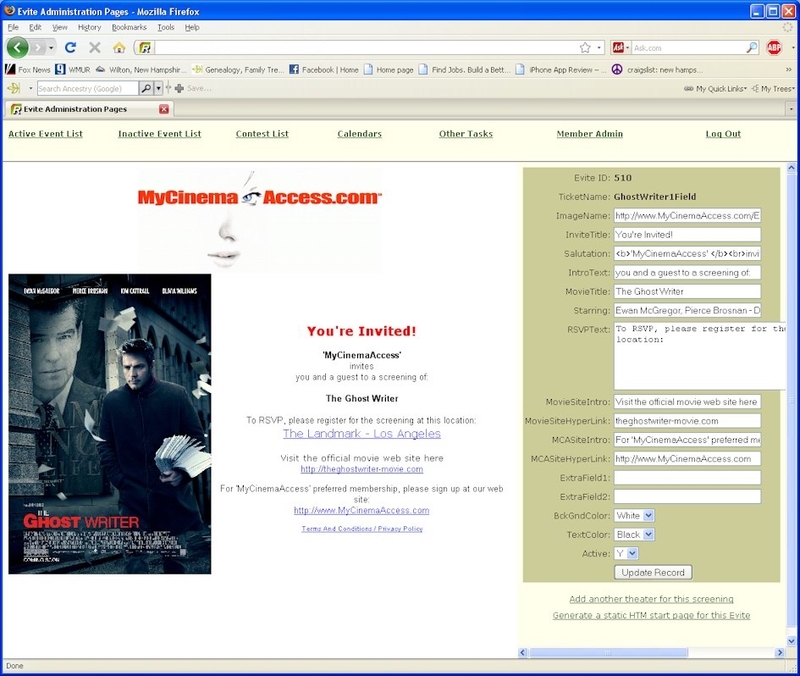 Multiple theaters can be chosen for each event, with control over how many tickets a user can request. Each theater can be set to "Sold Out" or disabled completely from the Evite as the event nears completion. Click on the image or here to zoom in. 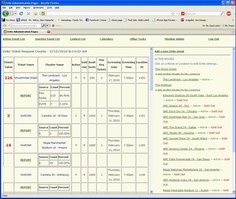 This screen shot illustrates how we can monitor the ticket requests for each event in real time. Media-Moose.com | Powered by Joomla!